Ghost Comic No's 0 - 2 . Dark Horse Comics. 2012. 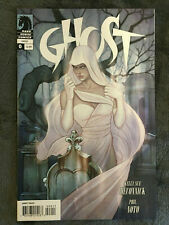 Ghost Dark Horse Comics lot 15 issues including Special First Appearance Issue! This page was last updated: 24-Apr 17:48. Number of bids and bid amounts may be slightly out of date. See each listing for international shipping options and costs.